With winter suddenly upon us, Academy Massage cautions people to be careful when traveling along our slippery sidewalks and streets. Falls resulting in fractures are common and injuries are not necessarily exclusive to the elderly or those struggling with impaired or limited mobility. A bone fracture can encompass anything from a hairline crack (stress fracture) to a complete break (compound fracture). Of course, extra care must be exercised by older people as their bones are more brittle, but an incorrect fall can create the same problem for someone of younger years. While traditional medical treatment should be sought following a fall to mend the fracture, massage therapy is a natural and non-invasive treatment that can be administered to reduce pain and discomfort in the soft tissue surrounding a fracture injury. As well, massage can assist in reducing edema and muscle tension not only in the affected area but the framework that compensates the injury, along with restoring circulation and muscle tone. 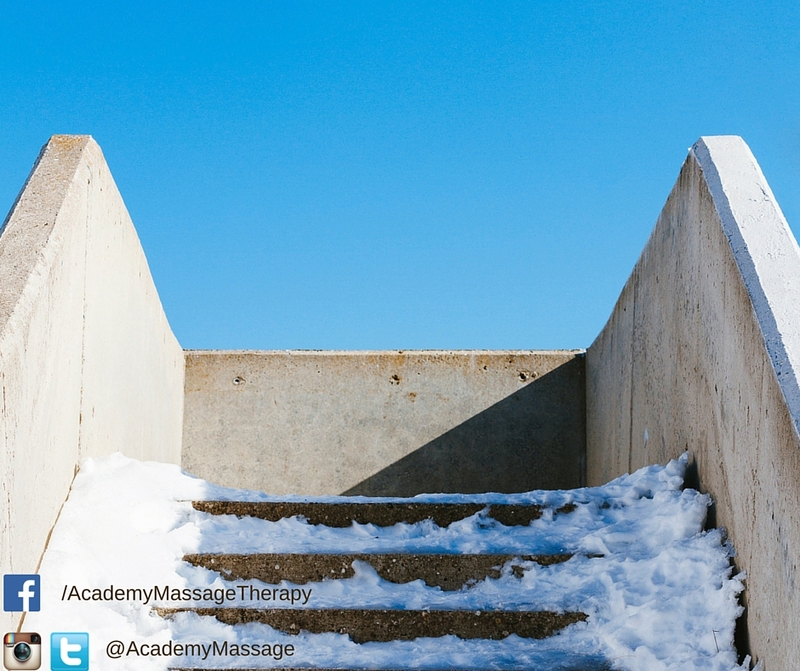 At Academy Massage, our trained therapists are skilled in working with the aftermath healing of fractures. We work out a treatment plan specifically geared to your injury that will help you regain full function more quickly as the mobility and stability of the compensating muscles has been addressed. Initially, our therapist will only work above the cast so not to disturb the healing bone. Once the cast has been removed properly applied techniques to restore tissue health. If you have suffered a fracture and choose to take an alternative approach to recovery, please call our office to schedule an appointment and get yourself on the mend. As we find ourselves nearing the end of another year, one can reflect on how quickly 2015 passed and perhaps look back on all that had been accomplished during the preceding months. As we prepare for winter our bodies may enter a slowdown period following warm seasons where we participated in a variety of physical activities, ranging from chores to pleasures. With the long-awaited arrival of spring came the post-winter tidying and readying the yard and garden for the planting flowers and vegetables. Summer brought with it all the fun activities to enjoy, from participating in competitive outdoor sports to individual preferences such as running, hiking or swimming. With autumn comes another return to yard care, with raking and bagging leaves at the top of the list. And with another winter soon to be on the horizon, that means bringing out the snow shovel and cleaning off the sidewalk and/or driveway. The activities of the past year have left many of us with strained and exhausted muscles, exertion that has ranged from mild to moderate to strenuous. While the weather is warm and we keep our bodies active we don't always experience the stress we put on our muscles and joints. 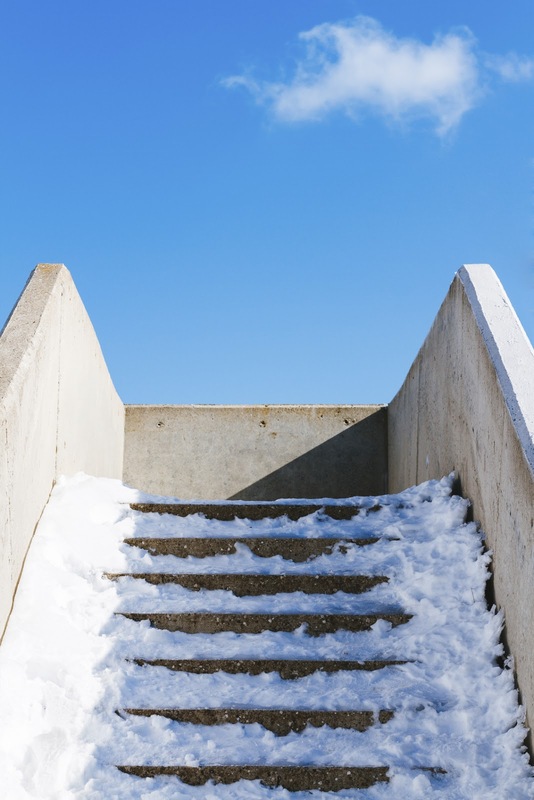 But as most activities slow during the winter months, as the cold descends upon the province, it is likely we may start to experience pain and stiffness that we either had stubbornly ignored or maybe just hadn't paid much attention to. In short, now may be the perfect time for a winter tune-up - and not just for your car. While massage therapy is included in most employee benefits packages or insurance plans, many people leave a significant portion unused. 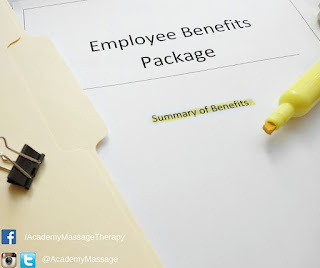 Academy Massage would again like to remind our valued clients that with 2015 winding down, you may still have unused insurance benefits that will expire at the end of the year, as most insurance companies do not allow these unused benefits to be carried forward to the following year. Now is the ideal time to take advantage of those existing benefits by treating yourself to any of our customized massage treatments or other specialized therapies, including laser therapy, shockwave therapy and kinesiotaping. Whether intended for an existing physical condition or to stimulate your muscles to be ready and in shape for the long, uncertain winter ahead; the relieving of stress or tension - or maybe just to pamper yourself to the deep-rooted relaxation professional massage can provide, we encourage you to close out the year with a visit to our office. At Academy Massage we also recommend that you do not hesitate to schedule your appointment for a massage session. As the days get nearer to Christmas, our therapists are busy with clients who are looking for last minute massage treatments and bookings may become difficult to reserve. If you still have an active insurance benefit: Use it, don't lose it.